Georgia Ennis: Throughout your book, you follow both the imaginations and instantiations of an Aboriginal voice in radio media, which ultimately unite your discussion of different musical genres and sensuous sound worlds on the radio, as well as the institutional contexts that have shaped Aboriginal media production. What are these different conceptions of the voice, and how do they interact with each other? Daniel Fisher: I spend some time in The Voice and its Doubles introducing GR, a remarkable vocalist who fronted the Warumpi Band, one of the first Indigenous rock bands to break into so-called mainstream airwaves in Australia. He was an electrifying performer, and many say he out-sang and out-danced the heavy hitting rock singers of his day, think Bon Scott or Mick Jagger. But when GR sang, he did so in indigenous Australian languages as often as he did in English — code-switching frequently in performance, singing and calling out the languages of his different audiences. The Warumpi Band was taking shape just as the Aboriginal media associations that I write about were gaining traction, and they were one of the first groups to be recorded and routinely played on Indigenous radio, as well as on national non-Indigenous stations. GR’s presence knocked people out, and his recordings still do. That’s the kind of voice that I focused on at first that drew me to want to think about sound, music, and radio here. Both in performance and as recorded sound it gave material form to the power and value that people so often ascribe to the voice and resonated with both the complications and the excitement that people found in the cosmopolitan worlds of contemporary northern Australia. So it was for a time a kind of paradigm for many of what Indigenous popular music could become and how it might bring together, or sing across, multiple audiences. Nonetheless, it was immediately evident that GR’s voice, replayed or perhaps remediated as recorded sound, sits beside a wide array of other highly consequential indices or avatars of the voice including statistics and marketing surveys, digital renderings of the voice on a computer screen, and the discursive figures that tether a whole range of policy and advocacy, that is, voice and voicing functions as tropes for agency and power and culture itself. It was also evident that Aboriginal media institutions were themselves kinds of media, were themselves understood as the material embodiment of a voice — and in fact had been crafted and funded as such by the advocates and architects of self-determination in recognition that the political subject of Aboriginal Australia cannot easily be reduced to the individualized, liberal subject. These all then are the ‘doubles’ of my title, the different instantiations or avatars of the voice that could generate excitement and passion as well as unease or friction, avatars that could at times haunt the sounded or spoken voice by making apparent some contradictions between liberal forms of recognition and the different forms of political subject taking shape across northern Australia. Insofar as the doubling of the voice in sound, text, and institution allowed it portability and measure, it became subject to governmental solicitation or cultivation, and at times this led to some discomfort for my interlocutors. For my part, it seemed as important to try to understand the different kinds of interests in and listeners for such content by playing on the multivalency of ‘auditory’ and ‘audit culture’ — asking whose listening, for what, and in whose interests? It was very clear that the voice was tied into these different and at times competing or agonistic projects, and that it was enclosed in a range of ways. This all lent exchange value within a quite specific field of cultural production. I do ultimately privilege GR’s voice, its transduction as recorded sound, and the ways it continues to move people today. But I also had to make sense of the different ways in which voice acquired a kind of abstracted value, to understand how all these different avatars of the voice moved and came to matter across a range of institutional and other domains. Georgia Ennis: You describe three central meta-pragmatics that support indigenous media production in Australia, which you define as “giving voice, sounding black, and linking people up” (2016:4). What does it mean for Aboriginal media to “sound black,” and why does it matter for producers and listeners? How is this imperative for media connected to broader discussions about alterity, indigeneity, and transnational blackness? Daniel Fisher: In the book I describe some generational differences in terms of what people felt that Indigenous radio ought to accomplish, and what people believe are the kinds of sounds it ought to privilege. There was a self-evident character to several of these — that it should give voice to Indigenous Australians, that it should link people up over a range of historical ruptures and contemporary distances, and that it should, as people said, sound black. With respect to this last, what is understood to sound black is both self-evident and also somewhat underdetermined in that no single sound or timbre or figure suffices, so this demand entails a kind of excess that makes it ripe for reflection, and at times contestation. This is amplified by the ways that affirming black identity in Indigenous Australian media making also has a particular history, one complicated by the pragmatics of Indigenous rights based activism, the turn from civil rights to Aboriginal rights as the ground on which to understand and pursue forms of social justice. Some of my older interlocutors, for instance, argued that to uncritically embrace a shared blackness through the consumption and valorization of afro-diasporic cultural forms was to miss or diminish the cultural singularity of Australian and Pacific Indigenous cultures by courting what they understood to be some risky logics of racialization. So even if many people I know see this character, ‘blackness,’ as something unfolding, and counter the equation ‘blackness is’ with a more contingent sense of the historical and emergent affinities between Black Pacific and Black Atlantic experiences, many also understood this as a figure that can complicate, and perhaps undercut efforts to achieve recognition as Australia’s first peoples. I found myself amidst conversations animated then by this somewhat generationally inflected tension between people finding deeply meaningful ways to connect to Afro-diasporic musics and popular culture, but also having trouble recognizing themselves in that popular culture, and concerned about the ramifications of such identification both pragmatically, in relation to a political struggle, and existentially, in relation to senses of self, to Indigenous cultural reproduction, to the ways that one might understand one’s relationship to an affecting musical form and its power. I came to understand this imperative that radio ‘sound black’ as an impasse at which efforts to craft radio programming led to recurring discussions about what blackness meant, and how it might or might not relate to indigeneity, to sovereignty, to a community’s history and to its future. Georgia Ennis: Readers might be surprised that in a monograph about Aboriginal Australian radio you do not write a great deal about media in Aboriginal languages. Indeed, early on you explain that for multiple reasons, “Indigenous radio often, paradoxically perhaps, lacks what might be termed appropriate ‘Aboriginal content’” (2016: 50). Rather, you focus especially on the cultural poetics of country music on Aboriginal radio. Why, and in what ways, has country music emerged as such a powerful genre for Aboriginal radio media? 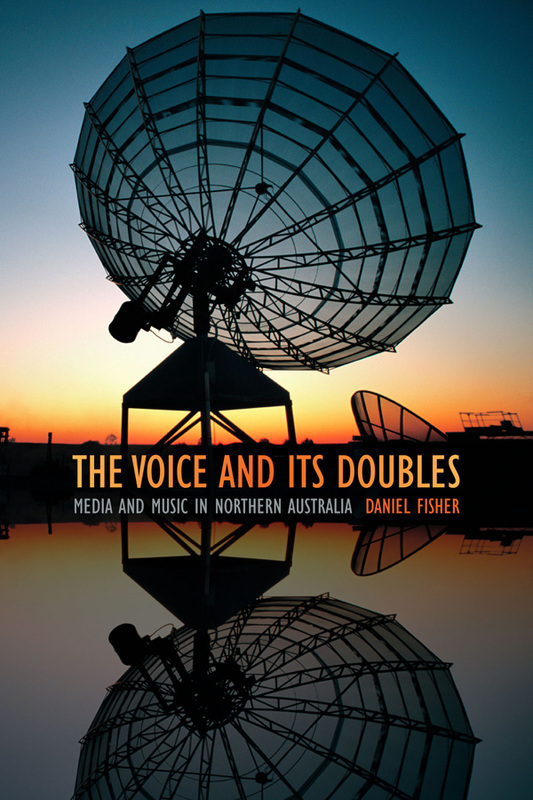 Daniel Fisher: The first place I spent serious time in Australia was both the biggest Aboriginal radio station in the country, and also one of the biggest and most prominent country music broadcasters. At the time, as I detail in the book, the families who started and ran this station were looking for funding support to amplify their educational work with respect to young Indigenous people in Queensland and northern New South Wales. This meant that they were increasingly entangled with government education agencies and the attendant oversight that comes with acquiring accreditation as an educational institution, and they were also bringing a lot of young Murri kids into the station from around the state to learn broadcasting, the history of Indigenous music and its relation to cultural activism, and the histories of their different communities. I was incredibly fortunate to be able to experience something of this education and socialization alongside of them. Learning about Australia’s intense audit culture, the ways bureaucratic rule marks cultural production in this place, and learning about country and other musics and their history in Indigenous Australia all came together in this space. Of course Aboriginal engagements with country music have a history that exceeds the walls and political life of this institution. The genre offered a first platform for Indigenous popular musics and also a framework for some of the first Aboriginal protest musics. Jeremy Beckett’s work in the 1960s with Dougie Young, Clinton Walker’s history of the genre in South East and Central Australia, and writer Gayle Kennedy’s recollections all make clear that this was a place of radical cultural intimacy, a place for recognizing one another and giving voice in this form to a set of shared experiences — of movement, labor, dislocation and displacement — that are some of the ready-made themes of the genre as a commercial form. But there is more than simply collective effervescence in these experiences of music making and listening. First, country music is the radio genre par excellence. The genre takes shape on the airwaves, and the airwaves acquire materiality in the carriage of this genre’s musical form. As I detail in the book, if country is big in Aboriginal communities, it also has just a huge non-Indigenous Australian audience. This made it an ideal platform for many of the people I knew whose activist work was dedicated to reaching a mass audience, to making Indigenous perspectives more widely understood and appreciated. And there is more here too in the genre to do with nostalgia, loss, and urbanization. Country music doesn’t just thematize the loss of something like a rural place or a way of life, it can also thematize its own passing, so that as an affecting form country music becomes itself a site of nostalgia, it remembers itself, so to speak. So, many of my friends and interlocutors listened to this music and it took them not simply to another time or place, but also to histories of shared listening, to lives lived with records. It’s a very capacious genre. People love to talk about it, think about it, listen to it, and sing it, and some of the very great highs and rewards of this research were when they did so with me. Georgia Ennis: Ethnographies of media often highlight production or reception, but not both. However, methodologically, your research seems to have privileged mediatization as the site of ethnographic understanding. While you focus a great deal on production, you also consider the reception of different media forms, particularly country music. Did your fieldwork include a specific focus on reception, or did this attention emerge from your research with media producers? Has your focus on mediatization allowed you to overcome the dichotomy between production and reception, or do you see such a divide in your work? Daniel Fisher: Mediatizaton was a central epistemological and methodological framework for the research, more significant in my thinking and questions than either pole of the production/reception dichotomy. But this isn’t to say that I didn’t find productive ways to think with or through the latter. A good deal of work before mine has made the point quite forcefully that the figure of the ‘audience’ is already troubled by its place in media institutions themselves, that media producers are themselves media consumers, and also that the divide between these two moments, as it were, can both be quite consequential ethnographically, crucial for how our interlocutors understand what media are and what they ought to do (as we see in work by Lila Abu Lughod and Faye Ginsburg, to name two prominent examples). This is to say that people have for some time been considering that dichotomy as a methodological and ethnographic question, as a feature of the domains in which they are working, a matter of interest and praxis by our interlocutors. In my work the capacity to empirically define and fix an audience did not present itself as an enormous methodological obstacle, insofar as the audience wasn’t simply something out there as an object that I must uncover, but was always around me, and on one level already there in the institutions, forms, and media artifacts themselves. I was also spending time in places where this divide could seem minimized by a sense of relatedness between the producer and her audience. 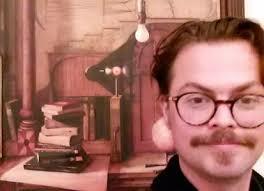 I was also moving back and forth as you suggest between sites of production and reception, that is, studios and concerts, cars and clubs and homes, and spending time with people who were themselves listening and often talking, showing with their voices both denotationally, as it were, and in performance different aspects of their listening. So as an empirical, observed phenomenon, reception or consumption or audition, that was very much a part of the world I was engaged in. On the other hand, we can say that the audience exists in part in the form itself, in its appeal, as a proposition or structuring principle. I would underscore that one needs to take care not to confuse the appeal or address of any given media artefact with its purchase, but I was nonetheless quite interested in thinking with form and with media artifacts, in asking what kinds of testimony they might give as kinds of social beings, actants, or agents. Engaging with different media artefacts in conversation with my interlocutors, and learning how to produce these artefacts alongside of them in institutions dedicated to fostering and amplifying an Aboriginal voice was also a means to listen in this way, and it led me to different conceptual questions clustering around problems of mediatization, of mediatization as the co-implication of different forms of mediation – for example, kinship’s capacity to codify or legislate relations and their implications, radio’s capacity to make kinship itself iconic of Aboriginal distinction, and of mediatization as a way of understanding how this exchange remakes radio and the voice itself.